Best friends Quinn McAlester and Blake Hargreaves secretly develop their super powers with their high school science teacher and mentor, Mr. St. Germain, until circumstances beyond their control soon push the boys apart. Encouraged to be fair and balanced by Mr. St. Germain, Quinn fulfills his childhood dream of becoming a superhero, but he is quickly forced into the public spotlight. Thwarted by local authorities and the government who want to capture and study him, Quinn struggles with his super-powered reality. Meanwhile, the mysterious Victor Kraze draws Blake further and further into The Order, a secret organization with evil motives and controversial goals. As Blake learns to enjoy exercising his own brand of superhero injustice against local criminals, Victor manipulates Blake’s taste for vengeance and quietly pulls him away from his best friend. Balancing school, family life, and their super powers, the boys quickly disagree on whether they should use their powers for good or for evil. Their once perfect friendship becomes estranged and falls victim to powerful, unknown forces who work to control the two super-powered boys who are destined to become superheroes or villains. 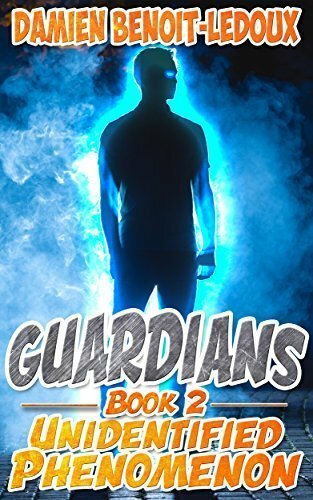 This is Book 2 of the GUARDIANS series, a tale of unexpected teenage superheroes and villains. 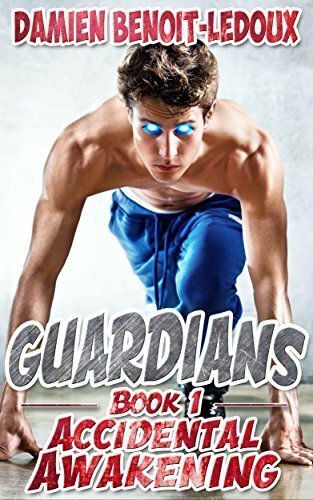 GUARDIANS is a fun superhero/urban fantasy novel series based in Portsmouth, New Hampshire. With lovable characters, exciting action, memorable moments, and unexpected twists, GUARDIANS is sure to delight all fans of the genre. Other Book Titles in "Guardians"